Lightweight Deflectometers (LWDs) are increasingly being used to determine overall compaction quality of all types of earthworks through their use as a QC/QA field test. LWDs provide a rapid determination of elastic modulus, which is an essential factor in mechanistic design and can be used as an accurate assessment of compaction. 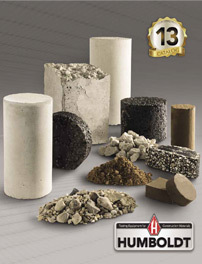 An LWD is used for measuring the bearing capacity (deflection) of subgrade/subsoils and unbound base layers, granular layers and backfilling materials, according to ASTM E2835-11. 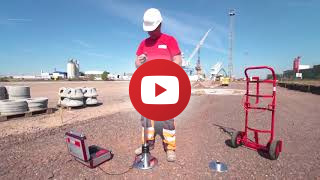 Based on the static plate load test requiring a load vehicle, the LWD provides a simple, fast and repeatable test providing an accurate assessment of compaction parameters. Applications for this non destructive method of testing include bearing capacity and compaction include road construction, pipeline and cable backfill, railway track beds, airport runway/taxiways, dam construction, embankments, foundations and other earthworks. Humboldt offers two models of Lightweight Deflectometers from HMP- a deluxe model, the HD-4129.3F and a basic unit, the HD-4130.3F. Both units are the same mechanism and differ only in the controller used with each one. 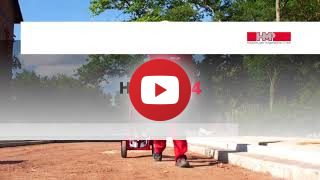 The graphic interface of the HD-4129.3F provides an intuitive menu, which guides the user through the testing procedure and provides real-time test results. Measured data is presented in tabular, as well as curve formats with date. time and GPS location clearly depicted. This data can be exported from the control unit via USB or wirelessly directly into the Cloud or to your PC for archiving and further processing. This allows personnel in any office to have access to data while you are still on site testing. It is also possible to print out results to a small portable printer on site. Use of the web-based evaluation software: HMPreport, provides the ability to produce professional reports for each measuring point, which can include your logo and contact details. This software allows you to work with your data from the Cloud or your PC. The software also enables you to store the data in a database with easy-to-use search and editing options. For additional information about the Lightweight Deflectometer, click here.